Find your own voice with the help of one of today’s most acclaimed vocalists. Dianne roams and explores, growls and catches at notes and phrasings. It is this audacity that makes Reeves’ voice an awesome instrument. 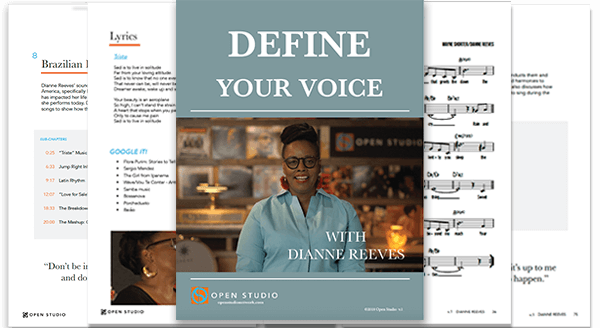 To all my musicians friends and especially vocalists this course is BRILLIANT I am a huge fan of Dianne Reeves but I tell you this is pure gold. She has an enormous voice and an enormous talent, and she offers it up to stun her audience. The ultimate jazz vocals course, with over 4 hours of teaching and beautifully swinging full performances in duo, trio and a cappella settings. Filled with intimate stories from Dianne’s legendary career and loving encouragement throughout for all aspiring jazz artists, the course is also perfect for the non-musician audience of jazz lovers and fans of Dianne Reeves. Don’t just study Dianne's concepts. Experience phrasing, the blues, melodic interpretation, feel, soloing and thematic development first hand with our Living Notation technology. Follow Dianne's melodies and solos in real time with our interactive notation system. It's never been easier to get inside the mind of a vocal master. Don't guess at forms or solos. Don't lose track of melodies or lyrics. See all of Dianne's lead sheets, arrangements, transcriptions, exclusive recommendations, and resources in one comprehensive, 106-page PDF workbook. Featured in George Clooney’s six-time Academy Award nominated “Good Night, and Good Luck,” Reeves won the Best Jazz Vocal Grammy for the film’s soundtrack. 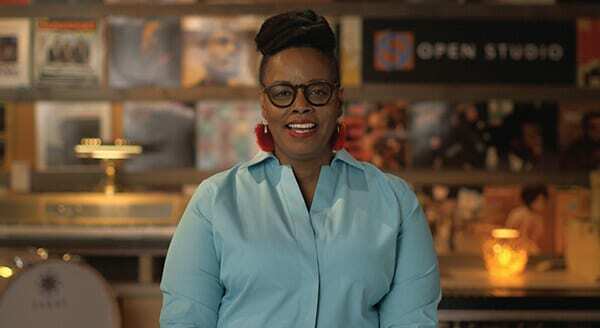 In 2018, Dianne was honored as an NEA Jazz Master, which is the highest honor that our nation bestows on jazz artists.